All professionals these days are trying to make work life easier on themselves with the help of technology, attorneys included. The rise of mobile devices and various productivity applications that are available for smartphones and tablets has definitely made some parts of the job easier and more convenient. The is a must-have for any lawyer. Fastcase gives attorneys access to a huge legal library and research system, right on their mobile device. 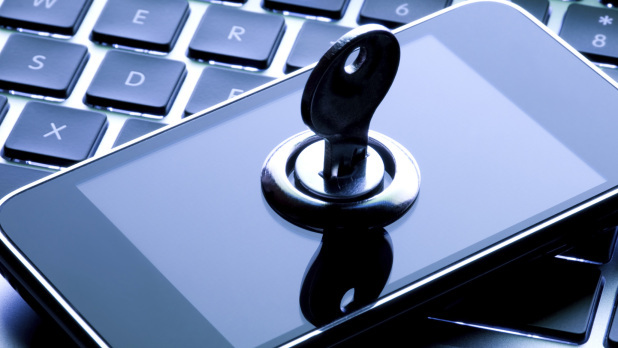 Its search functions are very fast and accurate and you’ll be able to gain full access to just about any state and federal case through the app. This is great for when you need to look up a case on the fly outside of the office. You can even use it in the court room to get a quick glance at various legal information you might need at any time. Now this is an application that is specifically made with the working lawyer in mind. It is a tool that helps you to effortlessly organize your case presentations for the courtroom and have them with you at all times. Using TrialPad, you can annotate your case files, create presentations, highlight text, and much more. And best of all, it all fits on your mobile device, allowing you to leave all of the bulky case folders at home. It’s an app that no law firm should be without. Here is an app that lets you analyze and evaluate your jury in a very in-depth way. It allows you to rank jurors, keep tabs on their responses when being interviewed and produce reports on your findings while interviewing the jury during the selection process. The interface is very user-friendly and allows you to color code information related to various jurors so that you can keep tabs on them very easily. If you like to take notes verbally, then this is the perfect app for you. It’s absolutely one of the best dictation apps available that is able for accurate and quick translations of your words into written notes. 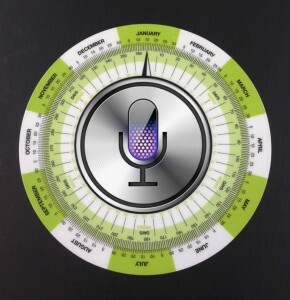 You will have to spend some time working with the app in order to get it to work as well as possible, because it needs to recognize your speech and get familiar with the way you talk in order to perform at its best. It’s very easy to use and can save you a lot of time when you want to make clear and accurate note of your thoughts in a hurry. When it comes to note-taking apps for the courtroom, this is probably the most complete one available for iOS users. This app allows you to replace all of your file folders, litigation transcripts and any other cumbersome paperwork with your iPad. It allows you to keep all of your pertinent data organized well and the great search function lets you pull up anything you might need to reference in a matter of seconds. About the Author: This guest post comes from Archie Ward a recent MBA grad and legal marketer. She has been working lately with the team at Carter Capner on some marketing strategies, as well as discussing some of the best apps for law firms. As I understand it, this means that if you were using an insecure WiFi connection (at a coffeehouse, hotel, airport, etc. ), a hacker could have possibly accessed information that was supposed to be encrypted and which you thought was secure, like credit card numbers. Apple has issued a patch to fix this iOS security flaw, and if you haven’t already done so, stop what you’re doing right now and download it. To do so, go to Settings > General > Software Update > Download and Install. If you’ve ever tried to change your wallpaper in iOS 7, you know it can be extremely frustrating. Prior versions of iOS allowed users to pinch and zoom images as they wished, even if it resulted in lower image quality. However, iOS 7 only seems to want to position a background image one way, and no matter how hard you try, no matter how much you pinch or zoom, it just won’t cooperate. I suspect that this has to do with iOS trying to find a happy medium between portrait mode and landscape mode, so it goes with what it thinks is the best compromise resolution-wise between portrait and landscape. Using the correct sized wallpaper should help minimize or alleviate the problem (which range from 2048 x 1536 to 960 x 640 depending on your iDevice) – but that’s awfully tedious. Thanks, but no thanks. 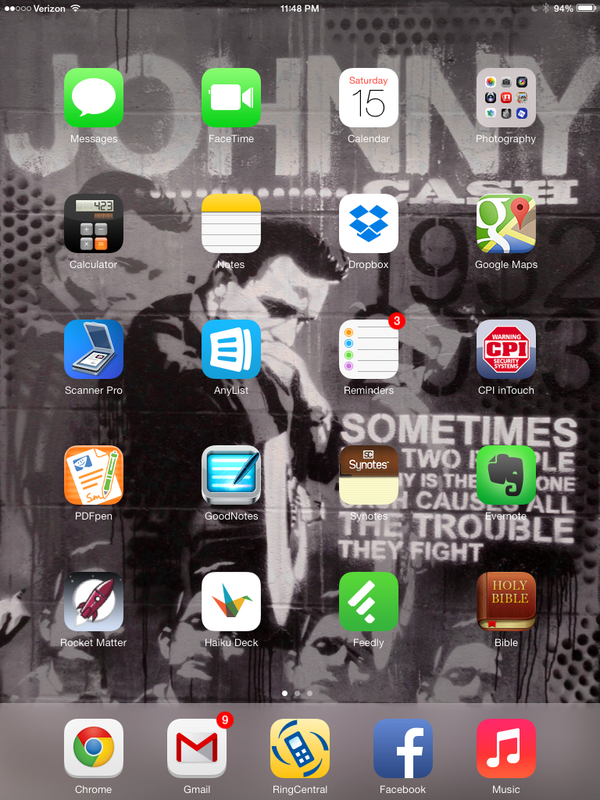 Fortunately, there’s an App for that, as Wallax from OneSimpleApp ($0.99) resolves all of your wallpaper headaches. This app enables you to instantly crop and save images to the correct resolution, and it allows you to include effects like blur, focus, etc. if you desire. 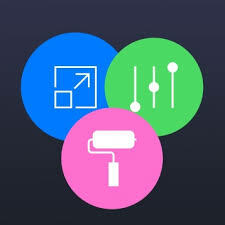 In just a few seconds, you can customize your a photo to create exactly what you want, export the image to your Camera Roll, and apply it as your perfect wallpaper. I used it myself to create my Johnny Cash themed background (at right). If you ever want to fix wallpaper on iOS 7, Wallax works as advertised, and I highly recommend it. Source: “Why Your Wallpapers Look Messed Up on iOS 7, and How to Fix Them!” by Allyson Kazmucha, published at iMore. Does OS X + iOS = iAnywhere? Could Apple be working on an operating system to combine OS X and iOS? Mark Moskowitz, a market analyst at J.P. Morgan, predicts that it is and he’s dubbed it iAnywhere. 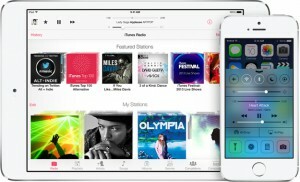 He predicts that within the next 12 to 18 months, this system will allow an iOS device (like an iPhone or iPad) to be docked to a specially configured secondary display and run as a full-blown computer. Of course, other PC manufacturers have flirted with the dual operating system concept, but never with successful results. Whether iAnywhere becomes a reality will remain to be seen, but if the statements from Apple’s executives are to be believed, I wouldn’t bet on it happening any time soon (if at all). Source: “Analyst Predicts ‘iAnywhere’ OS X and iOS Combo Platform Despite Apple’s Public Dismissal” by Juli Clover, published at MacRumors. One of the more tedious tasks that attorneys must do is calculate dates. Did you know that Siri can serve as a great date calculator to make this critical task as easy as can be? If you need to know when thirty days from today (or any day) is, simply ask Siri, and she’ll tell you. How about asking Siri to remind you ten days before a deadline (or birthday or anniversary)? There are also date calculator apps (discussed here and here) that work well, but the majority of lawyers will find that Siri is more than up to the task. Thank you, Siri. 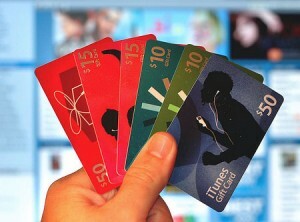 It’s a pretty safe bet that lots of gift cards were given yesterday – especially iTunes cards. They are the perfect gift for children, for adults, for readers, for music lovers, for the gamer or the movie buff. And now Apple iOS 7 offers the easiest way to redeem all your iTunes gift cards in less than a second. Simply scratch or peel off the foil to reveal your card number. 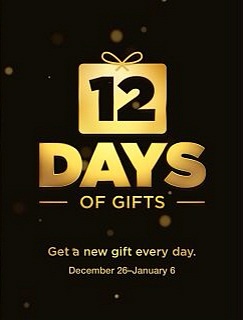 Go to the iTunes Store App on your iOS7 device, scroll to the very bottom, and click “Redeem”. Then, simply point your camera at the code on the card, and presto!, your iTunes account is instantly updated to reflect the card balance. It’s that easy. 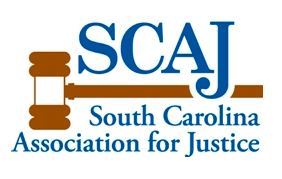 Earlier this year, Ben Stevens was named the chair of the Technology Committee for the South Carolina Association for Justice. Later this week, he and Jenny will be attending the SCAJ annual convention in beautiful Hilton Head Island. Ben planned and will be moderating Computer Technology seminar there, which features “How We Do the Digital Law Thing by Thomas A. Pendarvis, Esquire and “How Litigation Apps Can Make You A Better Trial Lawyer” by James T. McLaren, Esquire and Jonathan Lounsberry, Esquire. 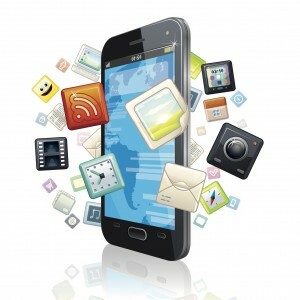 Ben will also be giving a presentation at the Litigation at Sunrise seminar on “Five Essential Apps for Trial Lawyers”. Ben serves on SCAJ’s Board of Governors, and he previously served two terms as chair of its Family Law Section. He has been an active member of SCAJ for almost two decades, and he proudly shares its mission of protecting the public and keeping South Carolina families safe.